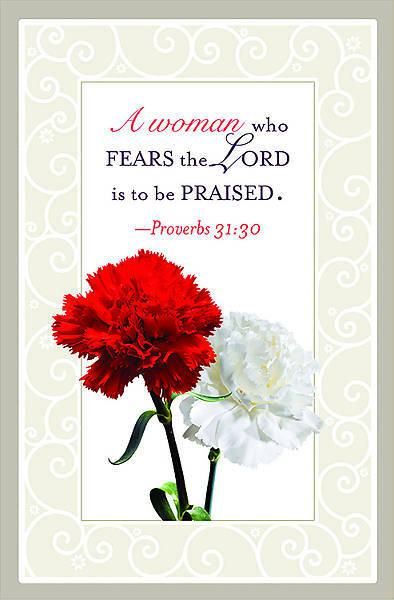 The Bulletin reads: “A Woman who fears the Lord is to be praised. —Proverbs 31:30." For the many churches that celebrate Women’s Day, the vibrant color of the carnations in this image suggests a joyful tribute and make for an eye-catching bulletin cover. It is a nice memento of the day for all. Bulletin is 8½” x 11” unfolded and 5½” x 8½” folded. Abingdon’s 2013 Seasonal Bulletins include bulletins, letterheads, and offering envelopes for all your Easter services as well as bulletins for all the special Lenten and Holy week services. This series also provides options for special services throughout spring and summer, like Mother’s Day, Father’s Day, Graduation, and more. See a full selection of seasonal bulletins search by typing keywords: Abingdon’s Seasonal Bulletins 2013; and click “search”.